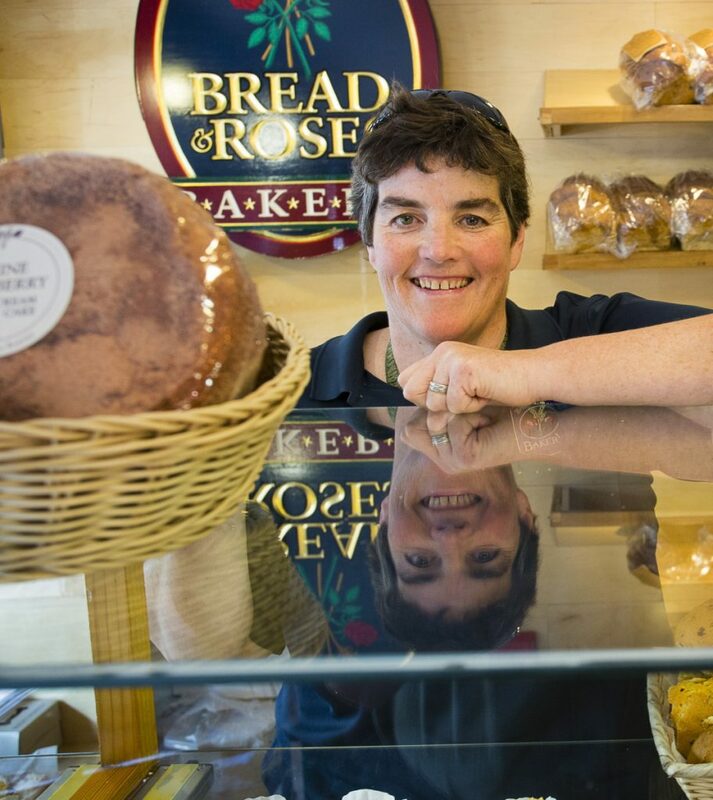 Bread and Roses Bakery is paying back wages and penalties for advertising low pay rates and then paying foreign workers more. An Ogunquit bakery shop has agreed to pay nearly $95,000 for violations related to hiring foreign workers. Bread and Roses Bakery Inc. reached the agreement with the U.S. Department of Labor to pay $73,115 in back wages and $21,052 in penalties. According to the federal agency, the bakery broke the rules when it advertised incorrect wage levels in seeking American workers for its jobs before bringing in temporary foreign workers under the H-2B visa program. The bakery advertised jobs for counter attendants that would pay $8.79 to $9.09 an hour, then paid the foreign workers $10 to $13 an hour. The department said American workers might have taken the jobs if the actual rates had been properly advertised. The Department of Labor also said that the bakery used the foreign workers as bakers, not counter attendants, and failed to pay the prevailing wage to nine employees. And the department said that the bakery broke wage laws by paying 45 employees straight time rather than overtime, failed to reimburse foreign workers for visa expenses, violated hours of work restrictions for a minor employee, and failed to maintain accurate hours-of-work records. “This case highlights our commitment to protecting U.S. workers by ensuring that employers provide them the best opportunity for employment before using non-immigrant visa programs,” Daniel Cronin, the department’s Wage and Hour Division director for northern New England, said in a statement. Mary Breen, the owner of the bakery, said in a statement that her business sometimes has trouble finding seasonal workers and worked with an employment agency for a short period to bring in foreign workers on the temporary visas. Breen noted that the name of the bakery comes from the workers’ rights movement in Lawrence, Massachusetts, more than a century ago.